I have a problem with my Galaxy note 3 after changing the IMEI number, it’s giving error “Not registered on a network, ” please help me. Your Samsung galaxy IMEI number is only used for identifying the device and has no permanent or semi-permanent relation to the subscriber . This guide pointed out on how to Repair or change your IMEI # / number. Check your IMEI on your Android Phone by simply dialing – *#06# . If for some reason you changed your IMEI number or your IMEI number is null and you’re getting “not registered on network or “no signal” errors , then please follow these steps. Open up the dialer and enter – *#06# to check your IMEI number, if you see “IMEI Null or 000000 ”, you need to reconfigure the settings to fix the no signal or not registered on network problem on your Android phone. To Fix not registered on network or Null IMEI #, click RRC revision, option 2. Few users had asked me how to change their IMEI number. Below is one such question from the users. To Change your IMEI number is to back up the IMEI number. This process requires you to first download an app named as ‘EFS Pro’. But before that ensure your phone is rooted otherwise this tool will not work on the device. Next download Microsoft.NET Framework 4.0 in your PC to make the EFS Pro app work on the PC. Once downloaded, unzip the file and install it on the PC. Connect your device with the PC using a USB cable. Run EFS Pro and follow the onscreen instruction to backup and restore the EFS folder. That’s it and the process is completed. Hello am using Samsung J100F has the same problem. When I dial *#06# it shows 0000000. on dialing *#197328640# it brings “Not registered on network”. What should I do now? Does it require rooting my phone before I dial that number? I have an At&t Galaxy S5. In settings under About Device it states the IMEI is Unknown. Does anyone have a solution for me. Any help is appreciated. Thx. My Galaxy Note3 Samsung N9005 is only taking one sim card and not other networks please help me on how to fix it. i tried several instructions but in-vain. This is the issue i am having always with my old samsung Note 4, i got the IMIE number, its showing with SN number but when im dialing the code its still showing me the error. Its not giving me the options. What should i do? Please help. 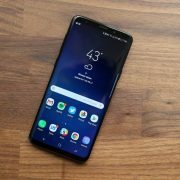 At&t note 8 is coming up with blacklist imei. Is there a way to use this phone? My Itel It1408 Has Lost All Its Signals Saying No Service And Sometimes No Sim Card But I Tried To Place The Sim Cards Into Another Phone And It Is Showing All The Signals I Have Done Factory Data Reset But Nothing Changed. I Dont Know What Is Wrong. I have recently flashed my Le eco 1s and my IMEI number is removed. when i am dialing your above method codes it is showing nothing. I also tried to restore IMEI number through different software but the problem is i have lost my box in which this phone’s IMEI number were printed. Now i have no option to know my IMEI number. Sir please help if there is any other way to restore IMEI number without knowing the IMEI numbers. How can I change my imei number? None of the numbers you type in the dialer works. i am following the procedure but Option 1. FTM is on and not going to off kindly guide. I want to change my imei number in my mobile. Sir my problem is imei when i can change rom then imei no. 3500000000000006 n i hv no backup file so sir can u help me.. my mobile samsung galaxy j700h.. Core 2 G355H imei 00000000000/01 ???? i am not able to find the FTM options in the menu. when i go to Common section this FTM is not visible. i am using samsung galaxy Ace. how to do the reset to restore IMEI no? somebody to help me with this issue. The code didnt work for me please help. I have samsung galaxy j7 and the code didnt work for me to go to enginering mod. 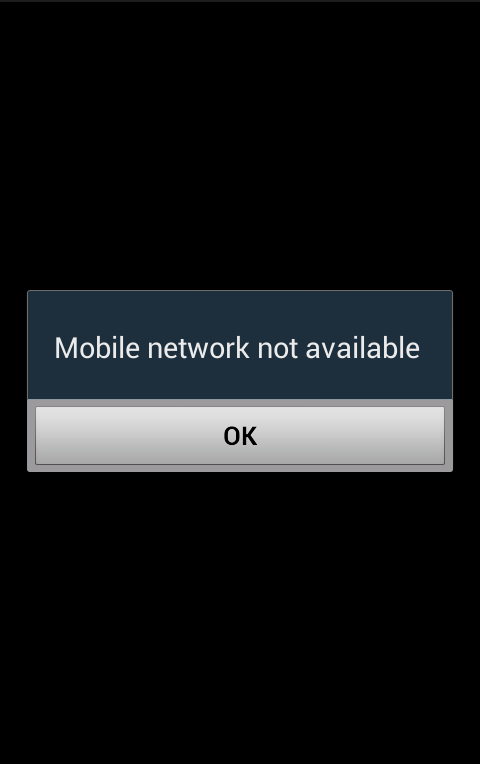 hii have samsung GT-I9300 it not working shows no network register. but when i insert another sim its works n makes calls. i got duplicate sim but the problem remains same. in my telenor no. plz help me out..
Hi! Sorry my note 3 has lost its imei number and I tried to follow your instructions on how to fix it from your technobezz but I failed. And tried to dial *#197328640# or *#*#197328640*#*# but nothing is there because it is not working at all. So what can I do to fix it??? I have the phone’s serial number but no imei number. Help 4 this!!!!!! i have the problem of ‘Not registered on Network’ in my galaxy ace 3 phone…. if i install android again this will solve ??? plz hlp…..
is`t suitable too for samsung note 3 neo? on what android this works? Thank you for the great subject. I have galaxy note 2 and have the same issue but when I enter the USSD code nothing happens, is there an alternative? I have Galaxy S Advance GT-19070, facing problem “Not registered on Network” when i follow your procedure it does not show option “FTM” how can i resolve it? I have Samsung Galaxy S1, GT-19070. Facing problem “not registered on Network” i flollowed ur procedure for restoring IMEI# but my device do not show option “FTM”, what should i do? I had similar issue with my NOTE II (after I installed a downloaded Stock ROM). That got sorted out after I installed modem bin file… That made my phone pick up correct IMEI & all GSM services started working. i need help, this is not working for my samsung galaxy note 3… anyway that you can help sooner than later? i rooted my note 2 and lost all my efs settings. 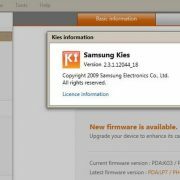 I went to samsung kies and did a firmware update and it is back to when i first got it. I tried all the things online and nothing worked so if all else fails do a update from kies. It is better than having a bricked phone. write down your model and seiral # before you start. Hope this helps all my fellow Samsung peeps. It doesn’t work at all!!! My Note 3 says:”only emergency call” and some how the 3g works the same…. My phone is in Blacklist, I paid to know it, but I bought this phone on line on a used things sellpay web site. 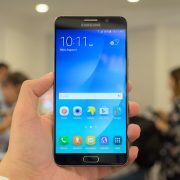 I knew that the first person bought the phone has not finished paying the installments, so the phone company locked the Imei but after trhe month I had bought th note 3. what can I do? Hi, I can’t get onto the command menu at all on my Samsung Galaxy S3. I’ve tried the codes. I’ve done a factory reset and I still have no service. I’m on a UK provider 3. Nothing, its not working… We are still waiting for a reply. I have a 2 Samsung galaxy s5 l lost imei 0 one is att other one is tmobile phone . Att phone l did put back imei but not registered at network . Or right description l will donate 100$ . I’m using an s3 and none of the above is working for me. Please help. please when i try the code on my dialer it tells me it is not on a registered network. am using galaxy siii, please what do i do? I dont know exactly, but the problem is with the android version, this one works o lower ones, for 4.1 and higher you should find an alternative way, but I dont think that there is any. well i reseted my samsung galaxy s3 mini model GT-I8190 to factory data reset and i lost my imei and unfortunately no network.ive tried ur formula which is *#197328640# or *#*#197328640#*#*.it didnt workout.any solutions? I just followed every single step to the letter and my Galaxy S3 still has the IMEI unknown. Any other ideas? 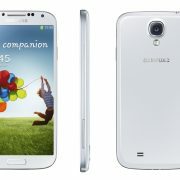 am using a samsung galaxy core with a differnt imei from the one at the back of the fone. and it says not registered on network. i tried your procedure but it didnt work for me. plus my ssn is also different. this all happened after i flash using a stock rom of a different country. i tried flashing with almost all stock roms of this device ever made but in vain. plz what should i do next. i got the exzhibit and it doent have FTM ON the menu were else can i go to? I have exacly the same problem, pls help! Hi, did you find the right codes for S5?